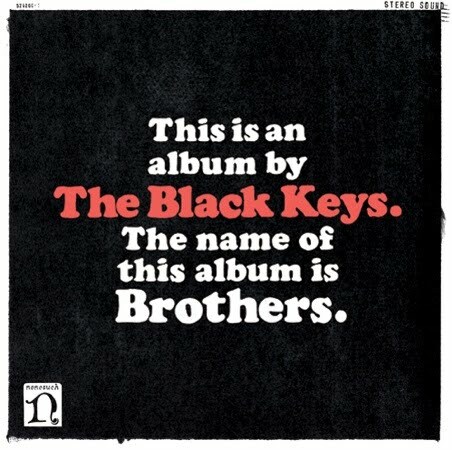 New Black Keys Video "Tighten Up"
In case you haven’t been keeping up with the Black Keys lately, they have a new album called Brothers. It dropped yesterday and leading up to it there were a series of videos involving a T-Rex hand puppet. Hysterical, but according to the scrolling note at the bottom of the video, the band themselves were not pleased with the video concepts for their new album. It was a “label” decision. Ok, well, whether comedy or not, there is maybe actually some truth to that statement as there’s now a fresh new, glossy, well produced music video in promotion of the single “Tighten Up.” It’s quite cute. Well, as cute as an indie blues rock band’s video on a school playground could be, anyway. While the two songs I’ve heard from it are fantastic, their apparent new band member the dinosaur puppet named Frank is not blowing me away. Just below was his first appearance in their first cut from the record “Tighten Up.” The dancing is cute for like a minute-and-a-half in, but then I just close my eyes and jam out to the sounds. This album sounds like it will be pretty great, steeped in the funk/blues/rock goodness that the Blakroc concept and “Attack & Release” have already fully realized. More info and a nice deluxe edition of Brothers can be found on their website. By the way, Frank has his own Facebook page. Yeah.